The Union government had proposed to set up a campus of Sikkim University in Darjeeling, much to the annoyance of the GTA which has been lobbying New Delhi to establish a central university in the hills. The proposal was rejected outright by the GTA. The Union human resource development department had sent a letter to the GTA as well as the Sikkim University in March, asking them to consider the setting up of a campus of the varsity in Darjeeling. 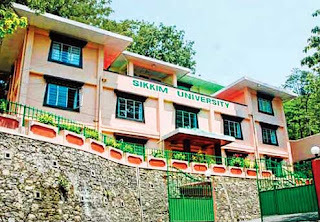 The Sikkim University is a central university established in 2007 through an Act passed by Parliament. Roshan Giri, GTA executive Sabha member in charge of education, said the hill body had rejected the centre's suggestion. "Since our demand is for a central university, we immediately opposed the proposal," he said. Sources said the Sikkim government, too, had objected to the proposal. The Sikkim University forwarded the opinions of its faculty members, who had either supported or opposed the idea. #Mamata Banerjee had recently announced a campus of Presidency University at Dow Hill in Kurseong and the foundation stone is likely to be laid on September 16. The GTA believes any move to launch the campuses of other universities in the hills will scuttle the autonomous body's efforts to get a central varsity established in the region. Establishment of a central university is among a set of project proposals for the hill body in annexure 'B2' of the GTA memorandum of agreement signed by the Centre, state government and the Gorkha Janmukti Morcha. Trilok Kumar Dewan, Darjeeling MLA, said: "A campus cannot substitute for a central university. First, we have to get through the central university demand. If there are a number of campuses for higher education in the three hill subdivisions of Darjeeling, Kalimpong and Kurseong, the demand for establishing a central university will definitely lose steam." The GTA chief executive, Bimal Gurung, had last week requested the chief minister to reconsider the decision to set up the campus of the Presidency University, as "it may have an adverse impact and the Centre may back out on the decision on the establishment of the Central University". Giri also said today that opposition to the campus of the Presidency University was not driven by any other reason than the fear that it would dilute the demand for the central university in the hills. 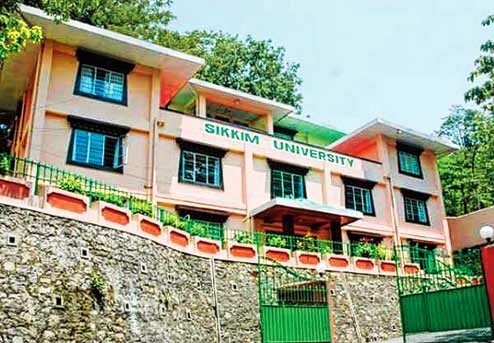 "That is why we had opposed the proposal for a Sikkim University campus earlier," said Giri. P.D. Rai, Sikkim MP, said: "I don't know whether Sikkim government has received such a proposal. However, my first comment would be, why should the GTA be happy with a campus when they are demanding a central university?" In July, the GTA submitted a detailed project report for a central university to the Union HRD ministry. The report was prepared by Noida-based EdCIL (India) Limited, a government of India enterprise. The faculty members of the Sikkim University also helped in preparing the report.